Bregenzerwald (Bregenz Forest) is part of the Tentative list of Austria in order to qualify for inclusion in the World Heritage List. Well worth a visit and great for hikes. 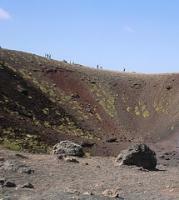 This active volcano however is not of universal value but only an important national heritage. Otherwise every other active volcano in the world should be inscribed! To consider its significance in a wider Alpine region and its farming traditions.